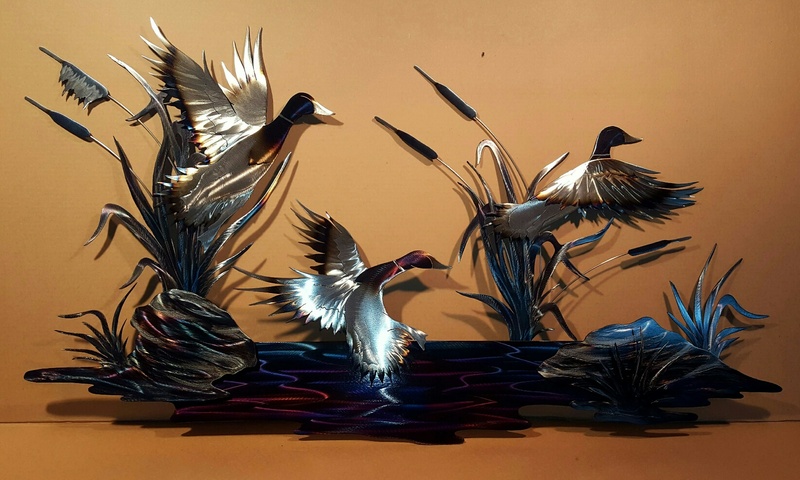 KC Scott began creating metal sculptures with his father when he was 18 years old. He has developed and discovered many trade secrets over the years. The vibrant colors are achieved through polishing, burnishing and heat applications. Each piece is like an ever-changing portrait, when viewed from different angles the piece shows a myriad of colors.